A time warp is probably the reason why nothing has happened on this blog in the last six months. Meanwhile the book – Physics for Flash Games, Animation, and Simulations – has been released. 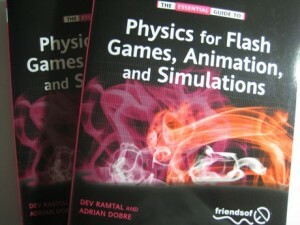 Apress has done a great job and the book looks nice – makes me want to read it! If you are one of the early readers then I’d love to hear from you.